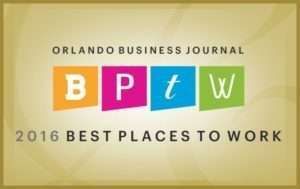 Ruggie Wealth Management was recently named one of the Orlando Business Journal’s 2016 Best Places to Work, and was featured in the June 24, 2016 edition of the publication. This recognition is designed to honor the area’s leading employers. The list comprises companies that go beyond the norm to foster an enjoyable and meaningful work environment for their employees, and the competition judges companies based on the results of a detailed employee survey which at least 90% of the employees had to complete for the company to be eligible. “While we do offer some great perks and have worked hard to create an open, accepting, supportive and fun work environment, having knowledgeable, inspiring, dedicated people with great attitudes is absolutely what makes Ruggie Wealth one of the Best Places to Work,” said Founder and President Tom Ruggie, ChFC®, CFP®. “It’s rare to be able to show up each day and work with such a collaborative team, and fantastic to see our corporate culture recognized by the Central Florida business community. Click here to learn more about the Ruggie Wealth Management team. 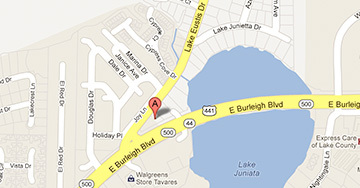 If you would like to see our current career opportunities, click here.